Do you have a key like this one? YOU HAVE A PROBLEM. 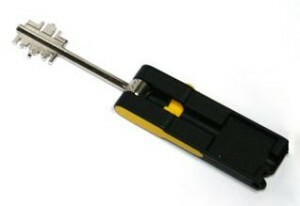 The double bit key technology appeared as a high-end safety system and was considered like this for a long time, mainly installed in armored doors with this type of cylinder. Recently has been developed an opening technique with a special lock pick for this type of doors that can open ALL the double bit key doors within a few seconds, AS IF THE THEFT HAD THE ORIGINAL KEY and without signs of break-in. In addition to the obvious inconveniences caused by the robbery of our possessions, this kind of robbery can present a problem with the insurance companies as the door do not present any sign of violence, refusing to indemnify. Juanjo Cerrajeros Alicante proposes a definitive solution. You have a reinforced door which is a good investment in security. So the lock is the only weak point. 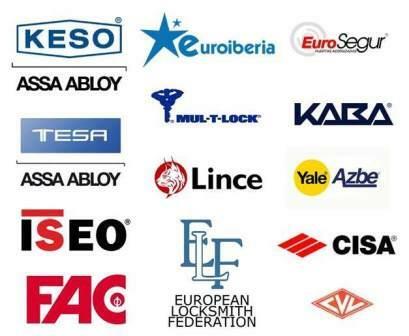 We will change the lock by installing a high quality lock with ORIGINAL spare parts for your door, a new Europrofil cylinder lock, so that we solve the problem forever. Consult with our technicians the different possibilities of cylinder that can be installed in your door.